November 26, 2018 marks the 10th anniversary of The Resort at Pelican Hill. 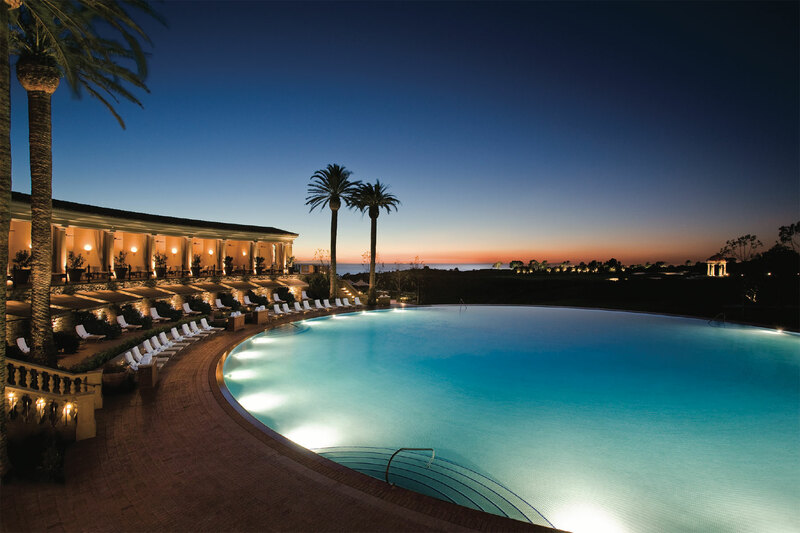 Perched above the coast of Newport Beach, this Italian Renaissance-inspired seaside village has inspired unforgettable moments for guests from every corner of the world as well as from around our local community. What sets Pelican Hill apart? Take a stroll down memory lane with us to find out, as we revisit, through stunning photography and the words of our guests and employees, the most colorful chapters of our story so far. It’s a story that we invite you to help write, so that, 10 years hence, when we publish the next set of chapters, you, too, will be able to find yourself in these pages. Every employee at Pelican Hill has treated me like royalty, every time I’ve ever stepped foot on the property, regardless of whether I was staying overnight, or just popping in to enjoy the views and a cup of coffee. The relaxed comfort of Pelican Hill takes inspiration from the work of 16th-century Italian architect Andrea Palladio, best known for his grand homes across the Venetian countryside. The beauty and harmony you feel is the result of thousands of small details—from the Italian plaster finish that enhances with age to the hand-made terra cotta finials sculpted by a master ceramicist to century-old olive trees throughout the Resort. Inspired by the timeless curves of the Roman Colosseum, and featuring 1.1 million hand-cut glass tiles, the circular pool is surrounded by an amphitheater of vaulted arches, cornished columns and terraced seating that affords an individual vista to each guest. Whether it’s a scoop of gelato on a warm Southern California day or home-made pasta made by Andrea’s in-house pastaia, you’ll experience a true taste of Italy in the heart of Newport Coast. 62,050 gallons of artisan gelato have been churned in the Resort’s Gelato Laboratory. Over 500 million gallons of water have been conserved throughout the Resort using a sustainable water quality management system. In addition, Pelican Hill is surrounded by acres of permanently preserved open space which includes the scenic beaches of Crystal Cove. Pelican Hill Golf Club was re-perfected by the original designer, Tom Fazio, the year before the opening of the Resort. Today’s modern technology allowed our teams to add extensive filtration systems, lay down a layer of sandy topsoil, and thin out much of the vegetation to allow for more ocean views throughout the courses. 77 million strokes have been taken on our two Fazio-designed golf courses. 625 breathtaking weddings under the iconic Rotunda. Over 170,000 massages and body treatments have been enjoyed at the Spa. The Resort creates a 7-foot-tall Gingerbread Village that wows holiday guests from across the globe every year. So much I could say about this heavenly resort. From the sheer size of it to the grandeur, to the impeccably maintained landscape, the views, the top-notch customer service…. Really, it’s over the top in every possible way. Every day you spend at Pelican Hill is an opportunity to spend time with those you love, doing what you love. The Resort and its surrounding areas are filled to the brim with attractions for you and yours to explore.